Jarrett was born in Alpine, TX and raised in Oklahoma. Growing up he was dedicated to the sport of gymnastics. During his undergraduate study at the University of Oklahoma a friend told Jarrett that he was destined to become a Chiropractor. Two years later Jarrett made the commitment to tour Chiropractic Schools and found himself feeling at home at Parker University in Dallas, TX. 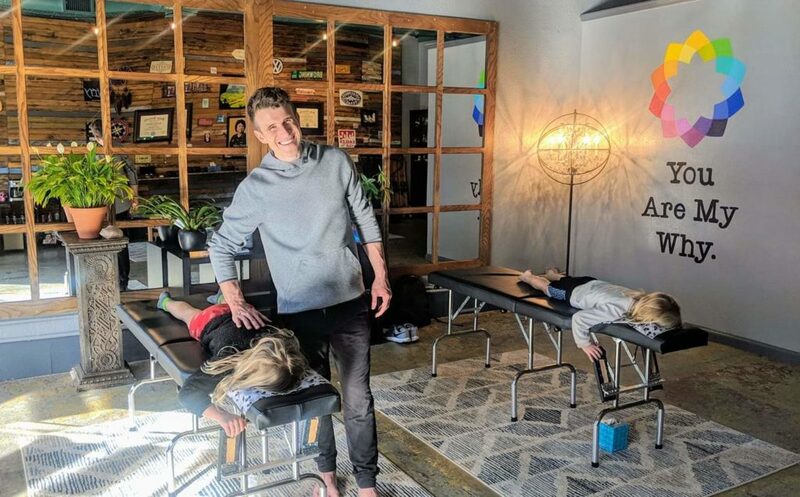 Chiropractic school exposed Jarrett to a lifestyle beyond the one in which he was raised. The novelty in education invited a new way of thinking that drastically changed Jarrett’s understanding of life, health, and inspired him to step up as a leader. Midway through Chiropractic school, Jarrett was asked to receive a Network Spinal Entrainment. That experience planted a seed that would forever change the way in which Jarrett would serve. Upon graduation from Parker University, Jarrett returned to Oklahoma to practice with the community he was raised in. Feeling the need to seek more for his life, Jarrett moved back to Dallas and joined us at Urban Hippie. It was then that he started receiving Network Care with Homer and Sarah at Next Level Chiropractic. A series of synchronistic events furthered Jarrett’s acceptance that he too was destined to become a Network Spinal Practitioner. Since then Jarrett has fully committed his practice to Network Spinal and is studying with the founder, Donny Epstein, in the Master-E and AlchemE programs. Network Spinal utilizes gentle contacts along the spine allowing the body to become aware and spontaneously reorganize life tension patterns through the EpiHealing process. EpiHealing builds strategies within an individual’s nervous system to awaken sustainable harmony within the body, mind, and expression of the human spirit. With high end health comes a greater ability to respond to your environment and consciously choose lifestyle behaviors that are more authentic to you.